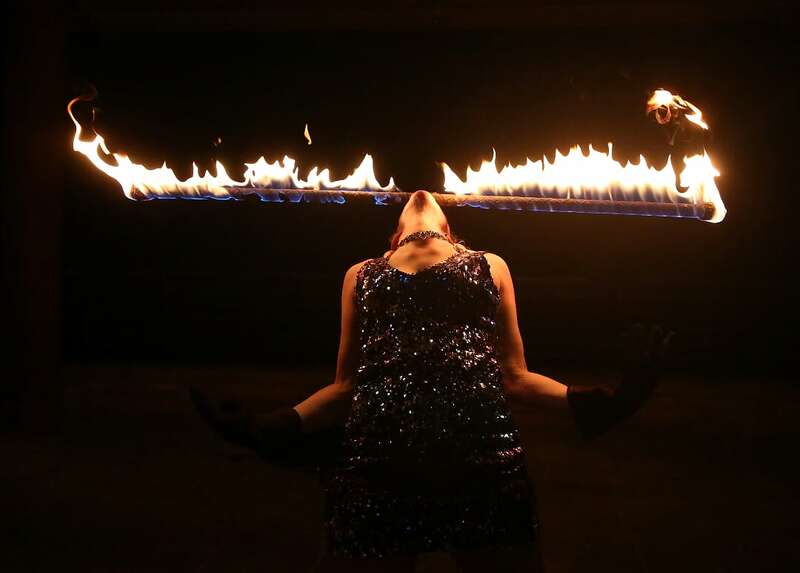 WE OFFER AMBIENT/BACKGROUND FIRE PERFORMANCE AS WELL AS FULL CHOREOGRAPHED SPECTACULAR SHOWS! CONTACT FOR PRICING. 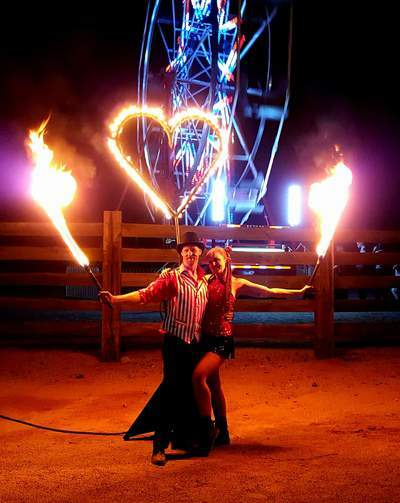 FIRE SHOWS CAN RANGE FROM 10 MINUTES TO 45 MINUTES. 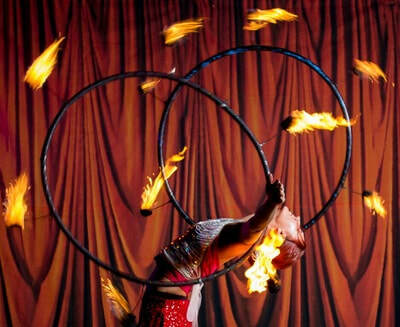 THEY ALWAYS LEAVE THE AUDIENCE AMAZED AND THE PERFORMERS ARE SKILLED AT MAKING A SMALL SHOW LOOK HUGE! 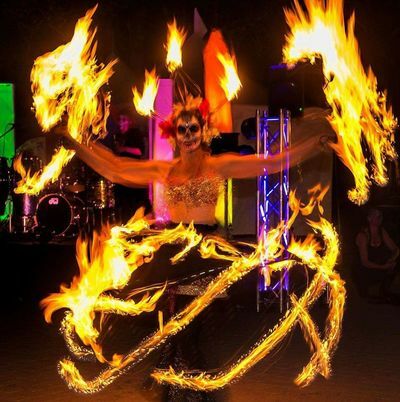 WHAT CAN BE INCLUDED: 1 TO 15 FIRE DANCERS, FIRE AERIAL RIG, DANCE, ACRO BALANCE, AND MARTIAL ARTS INFLUENCE. SHOW IS CHOREOGRAPHED AND SOUND SYSTEM CAN BE INCLUDED. WHAT IS NEEDED: A 12 TO 15 FOOT AREA OR LARGER. IT CAN BE A STAGE, CONCRETE, GRASSY AREA, ETC. AS LONG AS IT IS A FLAT SURFACE. MUST HAVE 20 FEET ABOVE WITH NO OBSTACLES AND PERFORMANCE SPACE NEEDS TO BE 15 FEET FROM AUDIENCE. *ASK ABOUT FIRE PERMIT.